For centuries, alpine adventurers have been driven to achieve great things by their natural curiosity and wish to discover new worlds. Here in the Salzburger Land visitors can follow in their footsteps by exploring this stunning mountain landscape full of towering peaks, deep valleys and fabulous views. Welcome to Zell am See-Kaprun! The TAUERN SPA's location makes it the ideal starting point for walks, hikes and gentle strolls in the region around Zell am See-Kaprun. 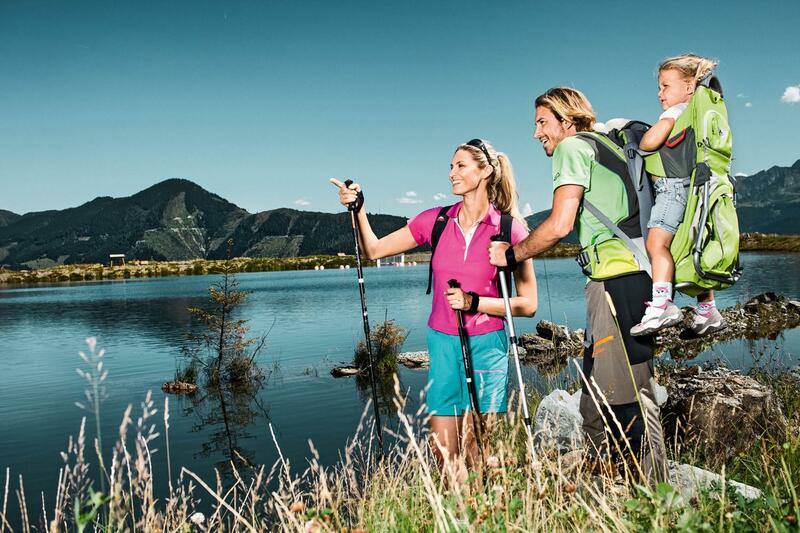 The 400km network of hiking trails takes outdoor enthusiasts into the heart of the Austrian Alps. Ready? Let's go! Highlights include climbing mountains over 3,000m and learning about the flora and fauna native to the area during a visit to the Hohe Tauern National Park with its many fabulous vantage points. Prepare to embark on an alpine expedition to another world! The Kitzsteinhorn Glacier is home to several mountains over 3,000m with spectacular views. Visitors also have the chance to go inside the mountain as part of a free guided tour. Last but by no means least, the Top of Salzburg viewing platform overlooks the highest mountains in Austria. Visitors can either walk up the mountain or take the gondola between the valley floor and the top of the Kitzsteinhorn. Thanks to its high altitude, the glacier at the peak is covered with snow all year round – a great way to cool off on a hot summer's day! The top station of the cable car at 2,450m is a good starting point for hikes. Or why not hire a guide and head out onto the glacier itself? The Hohe Tauern National Park is the largest nature reserve in the Alps and the only official nature park in Austria. Visitors will soon see why this mountain paradise is loved by both locals and tourists. Its rich fauna and flora as well as its swathes of untouched nature, from meadows in bloom to crystal-clear mountain lakes and craggy alpine peaks, make a visit to the Hohe Tauern National Park a unique experience. And the best thing is that it is just a few minutes' drive from the TAUERN SPA to the heart of this UNESCO World Heritage Site. 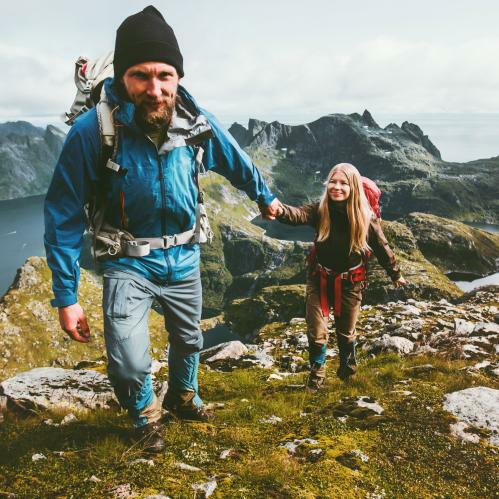 Family-friendly paths and trails as well as guided walks with National Park Rangers make the national park interesting for all ages. The varying terrain and lanscape are sure to enchant visitors. Come with us on a journey of discovery! All the rooms at the TAUERN SPA offer top views of the Zell am See-Kaprun region, in particular the two mountains overlooking the area: Maiskogel and Schmittenhöhe. These peaks are very popular with hikers, not least thanks to their network of trails leading up to and over 2,000 metres above sea level. Hikers will find many traditional huts and restaurants high in the mountains where they can sample some of the local cuisine. And don't worry if you don't have your own hiking boots, poles, etc. At the TAUERN SPA we will be happy to lend you everything you need for a great day in the mountains! Follow the call of the mountain! 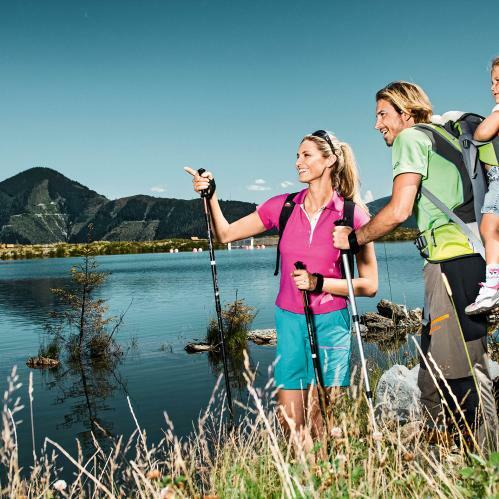 Pull on your hiking boots and explore the Zell am See-Kaprun region surrounding the TAUERN SPA. Enquire now to book your holiday in the heart of the Alps.